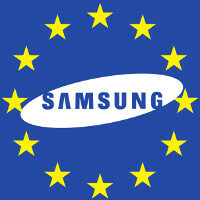 It seems that Samsung is poised to stop selling its lower-tier, sub-250 Euro devices in the Netherlands and, quite possibly, other undisclosed European countries. This news got hinted out by a representative of a Dutch telecom website, QontentMatters.nl, who claims that Sammy will no longer offer its more affordable device lineups in the Western-European country. In a recent tweet, the representative (Danijel Dercksen) claims that "Samsung is therefore stopped [sic] making smartphones under 250 euros for some countries, including the Netherlands Bad for market share [sic]". Well, this piece of info should be taken with some salt since it's not corroborated by any other source, but provided that it's true, it will certainly show us that Samsung is trying to keep its entry-level device lineups for the emerging markets only. Given that Western Europe is everything but an emerging market, it is somewhat logical to assume that the South Korean company wants to sell its mid-range and high-end devices, like Galaxy S and Note lineups, in the Old Continent. This doesn't mean that Samsung will entirely ditch its budget lineups, of course. On the contrary, this move might be a sign that it's ready to price and sell its devices in a smarter way, focusing on each individual market. With clever pricing, this could probably help South Koreans solidify or even gain market share in certain emerging markets. As far as what devices might get axed, the Galaxy J series of budget low-end handsets is one of the prime candidates. Of course, Sammy has other entry-level phones on the shelves in the Netherlands and Western Europe. It remains to be seen if they will be nixed from Samsung's local portfolio. They already stopped selling the Note 5 and going for iPhone-a-like style over substance for the S6 so they're not exactly giving much choice. Good, less low end trash to confuse non tech savy people. So Sammy is focusing on selling their overpriced junk instead of their cheap crap. What a surprise! Overpriced crap compared to quality value for money phones from Motorola. I have said it 100 times. Anything non flagship from samsung is pure crap when compared to same price point phones from other companies. Samsung budget smartphones that run Android are getting kicked out by other Chinese brands. Time to change Samsung. Here in the Philippines you see many low/mid-range phone around you. Around 75% low/mid-range phone and those are Samsung Galaxy Star, Young, Ace, Ace Style, Core, S Duos, Fame, Pocket Neo, Grand Prime, Core Prime, S2, Cherry Mobile and many other android cheap phone. No suprise here in the Netherlands. I litarely don't know anyone who has a sub 300 euro phone (when it first launched). I almost never see a person with a budget Samsung anymore. Not surprising. It's not like the folks up there want cheap phones anyway.